PASADENA, CA – Javier Hernandez and Mexico hope book a knockout round spot at the Copa America tournament with a win against Jamaica at Pasadena’s Rose Bowl Stadium. Mexico delivered a strong late second half performance to beat Uruguay 3-1 in their tournament opener, and will join secure passage into the quarterfinals with a victory on Thursday night. 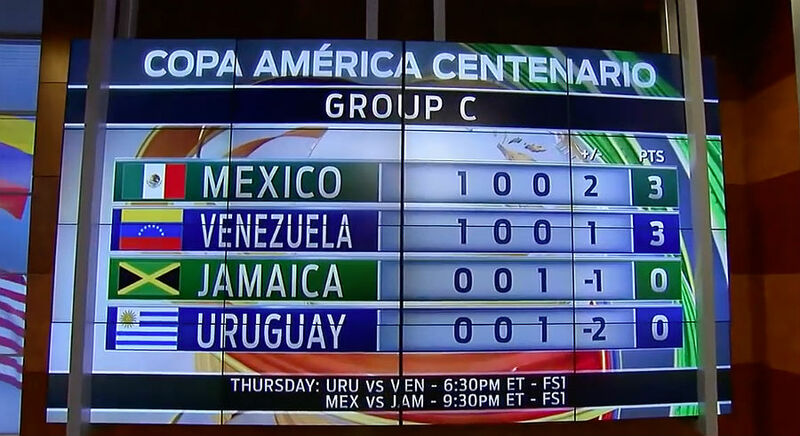 The Reggae Boyz, who were defeated 1-0 by Venezuela in their Group C opening game last week, would be eliminated from the Copa America in group play for the second successive year. El Tri, who have won five straight games and are undefeated in the last 20, head into Wednesday night’s contest as the overwhelming favourites, but the North American giants will be without influential midfielder Andres Guardado, who is suspended after he was sent off for two bookable fouls against Uruguay, last week. Jamaica will more than likely recall leading defender and English Premier League winner Wes Morgan against Mexico, after he started on the bench in the defeat to Venezuela, before coming on late in the first half on Sunday. Left-back Kemar Lawrence, who suffered a groin injury in the last game, is done for the rest of the tournament, the Caribbean side revealed. “Kemar Lawrence is out and now we have to find a left defender, but I think that is not the biggest problem,” Jamaica head coach Winfried Schafer told the Jamaica Observer. He added: “All players must know what we have to do against Mexico and we have to come back to positive thinking. The States (US) lost against Colombia and came back to beat Costa Rica! We can do the same. The Reggae Boyz will be without the suspended Rodolph Austin, following a harsh red card decision against Venezuela. Before Jamaica and Mexico kick off their battle at 10 p.m. ET, Uruguay will take on Venezuela at Lincoln Financial Field in Philadelphia at 7:30 pm and the Reggae Boyz could find themselves in a desperate position prior to even kicking a ball. Live streaming coverage of both games Will Be on Fox Soccer 2Go, with Fox Sports 1 USA providing live television broadcast.